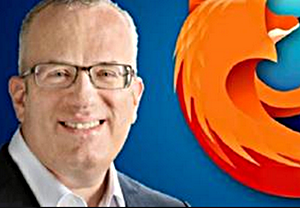 Well it seems that Andrew Ambrosino Sullivan is at it gain helping to feed the fire of those who are against by by writing another column about Mozilla ex-CEO Brendan Eich (above) this time trying to compare Eich’s problem to those of LGBT workers in America who are discriminated against and has the sheer gall to bring up ENDA! “Thank you for the hundreds and hundreds of emails about the Mozilla-Eich affair. My readers overwhelmingly disagree with me for a host of reasons. But I have to say that this time, the more I have mulled this over, the more convinced I am that my initial response to this is absolutely the right one. And not just the right one, but a vital one to defend at this juncture in the gay rights movement. We either develop the ability to tolerate those with whom we deeply disagree, or liberal society is basically impossible. Civil conversation becomes culture war; arguments and reason cede to emotion and anger. And let me reiterate: this principle of toleration has recently been attacked by many more on the far right than on the far left. I’m appalled, for example, at how great gay teachers have been fired by Catholic schools, even though it is within the right of the schools to do so. It’s awful that individuals are fired for being gay with no legal recourse all over the country. But if we rightly feel this way about gays in the workplace, why do we not feel the same about our opponents? And on what grounds can we celebrate the resignation of someone for his off-workplace political beliefs? Payback? Revenge? Some liberal principles, in my view, are worth defending whether they are assailed by left or right. Typical Sullivan. All bluster, no substance, and a total hypocrite. ANYTHING to get some clicks.and prove he’s a pompous prick. A civil rights movement without toleration is not a civil rights movement; it is a cultural campaign to expunge and destroy its opponents.